Read the full announcement via Georgetown University Medical Center here. Movement for MS is a dance class designed specifically for people living with multiple sclerosis. In the welcoming and joyful environment of the dance studio, Movement for MS empowers participants to explore their movement potential in fun and creative ways while building community, collaboration, and physical confidence. Through this program, participants experience both cognitive and physical benefits of dance as well as the freedom of artistic expression. In addition to the positive changes the participants have experienced due to the program itself, they benefit from the community they have formed, built on shared experiences, information and advice on living with MS. In class, we move through stretching, breath work, explorations of rhythm, and seated and standing dances. Movement for MS is a program of the MedStar Georgetown University Hospital Department of Neurology and the Georgetown Lombardi Arts and Humanities Program. 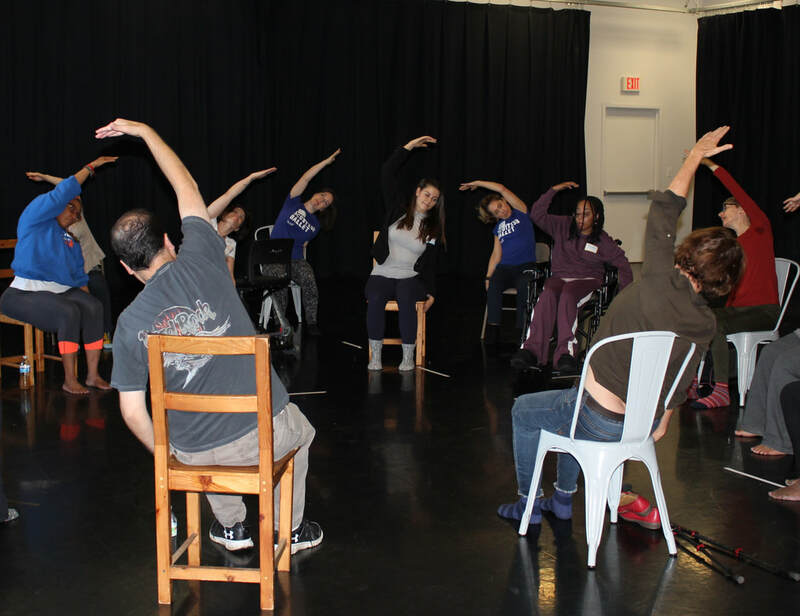 Led by hospital Resident Movement Artists Deborah Riley and Alison Waldman, this class and program is building curriculum and research on the positive impacts of dance on the neurological and physical symptoms of multiple sclerosis, in partnership with national and international institutions. Movement for MS classes are free of cost to all participants and welcome people at all stages of multiple sclerosis, their caregivers, and loved ones. Registration is now open for the spring 2019 Movement for MS session!